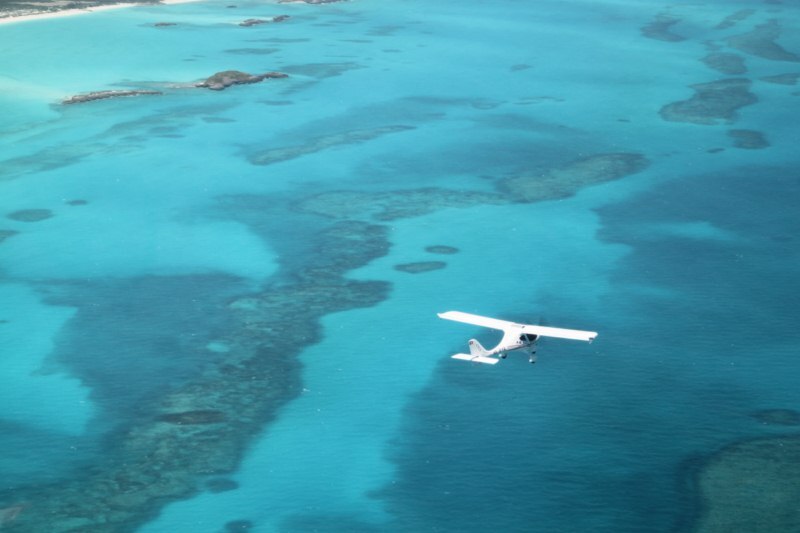 Certainly one of the most beautiful region in the world to overfly with a light aircraft. 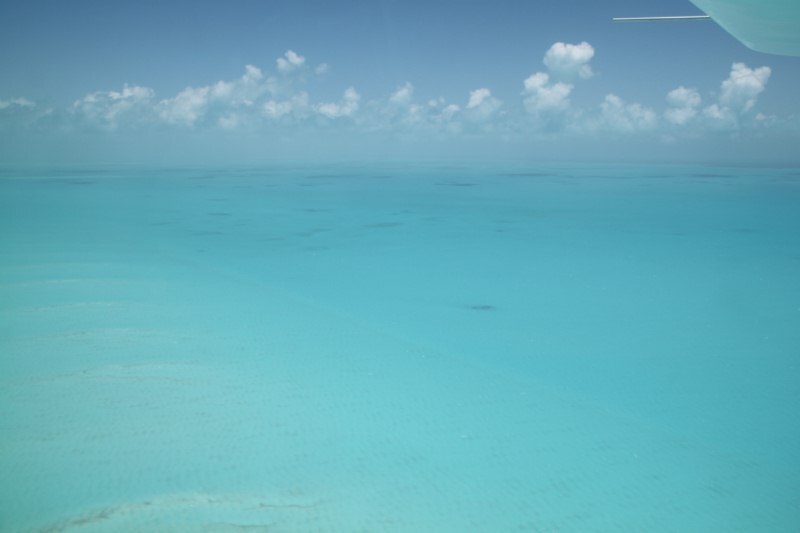 We leave the Turk & Caicos islands and reach the Bahamas with its beautiful beaches. 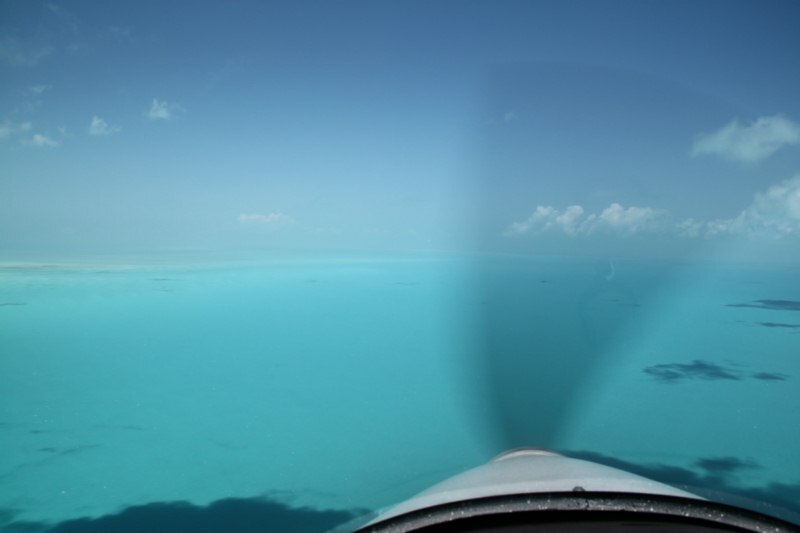 We stay at low altitude until we reach Great Exuma and after a 5 hours flight we land in Miami. The reception in Opa Locka (Miami) is exceptional. Our american friends are present ! 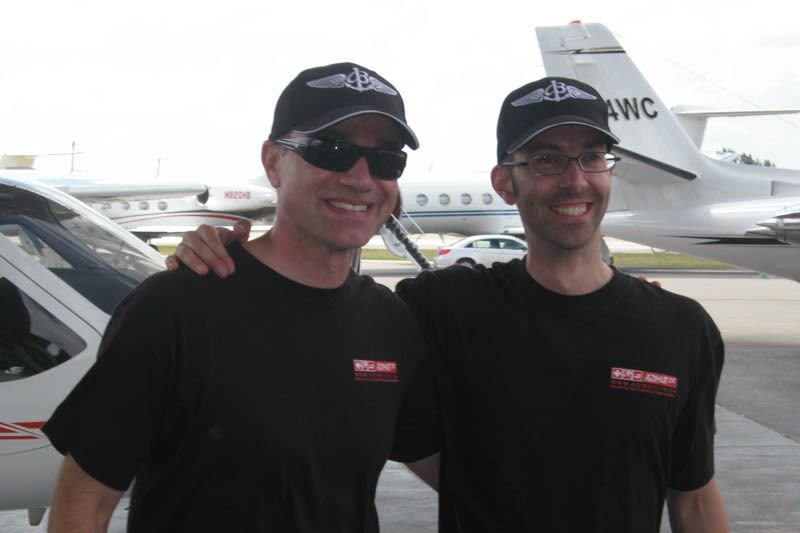 Even the immigration officers are happy to meet these two (crazy) swiss pilots who plan to fly around the world with these small aircraft. 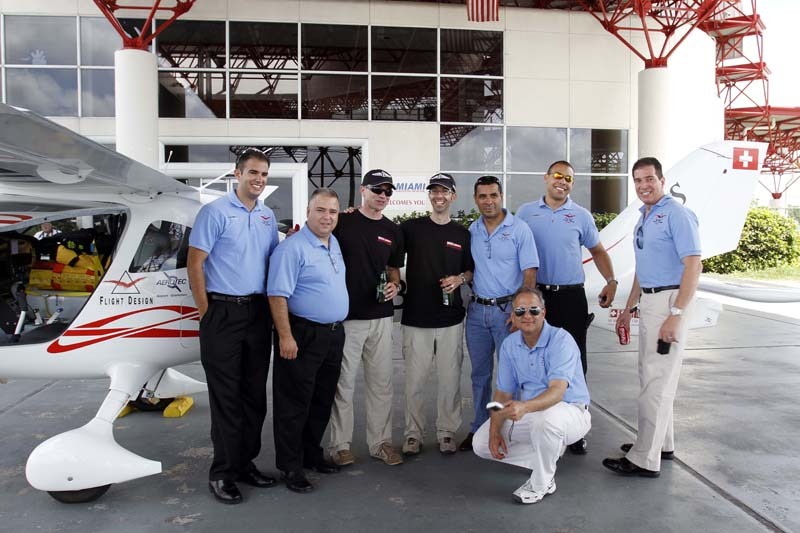 The Flight design dealers (Premier 1 Aviation and Lockwood Aviation) and Carlos Gomez have organized an arrival party... with some cold drinks… we are thirsty in this part of the world. 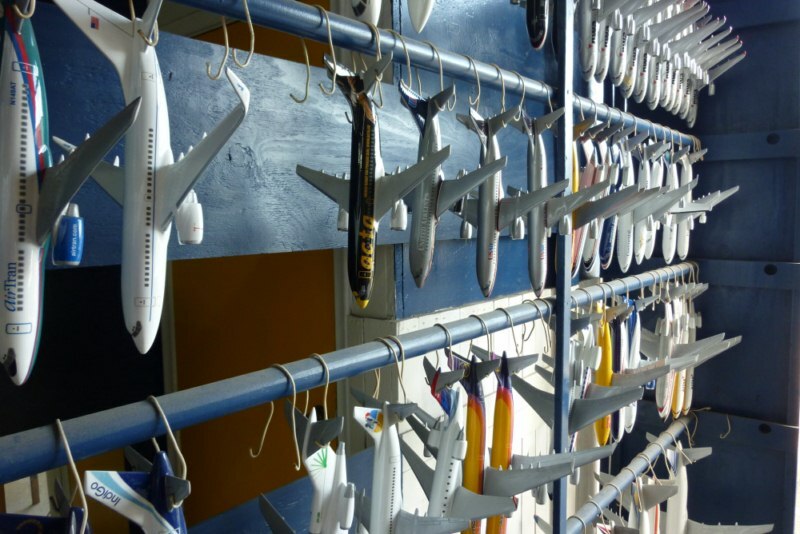 The next day, we are visiting Atlantic Models, a shop which will produce a model (1 :24 scale) or our CTLS. 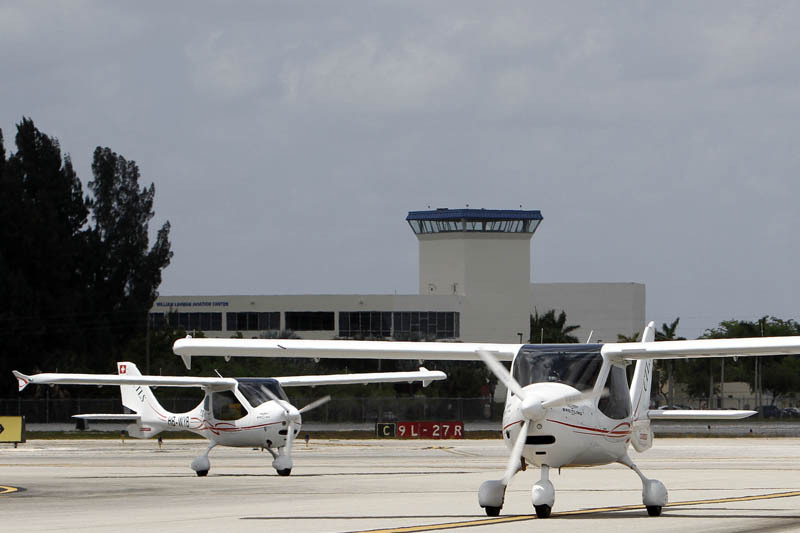 In the evening, Premier 1 Aviation is inviting us for diner at Coral Gables. The plan is to leave Florida on Saturday morning at 07h00. As the weather forecast for North Texas is not good, we plan to fly to Austin more in the South.